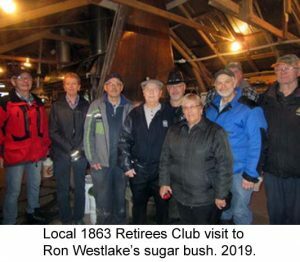 Local 1863 Retirees Club toured the Ron Westlake’s sugar bush on March 21, 2019. 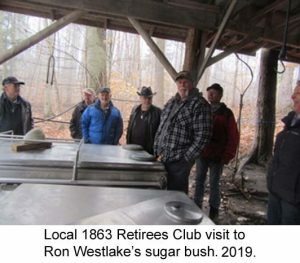 Ron gave us a great tour and maple syrup samples, plus treats and coffee sweetened with maple sugar. This entry was posted in Retirees. Bookmark the permalink.